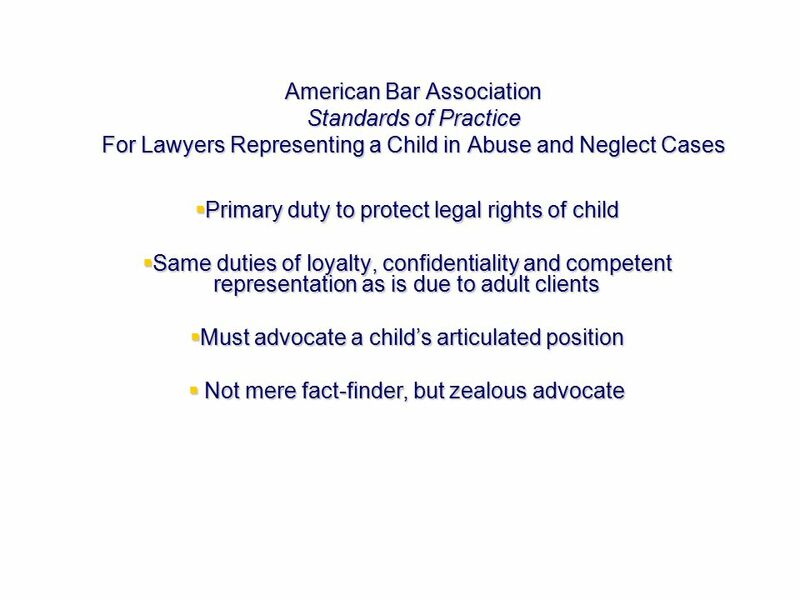 Courtroom Advocacy for Young Children in Foster Care Sheryl Dicker, J.D. 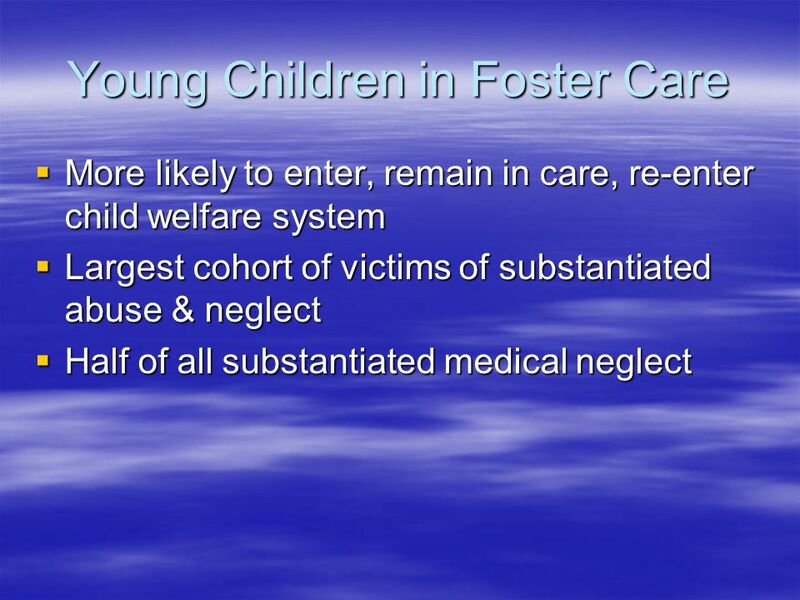 Assistant Professor of Pediatrics Albert Einstein College of Medicine Former Executive. 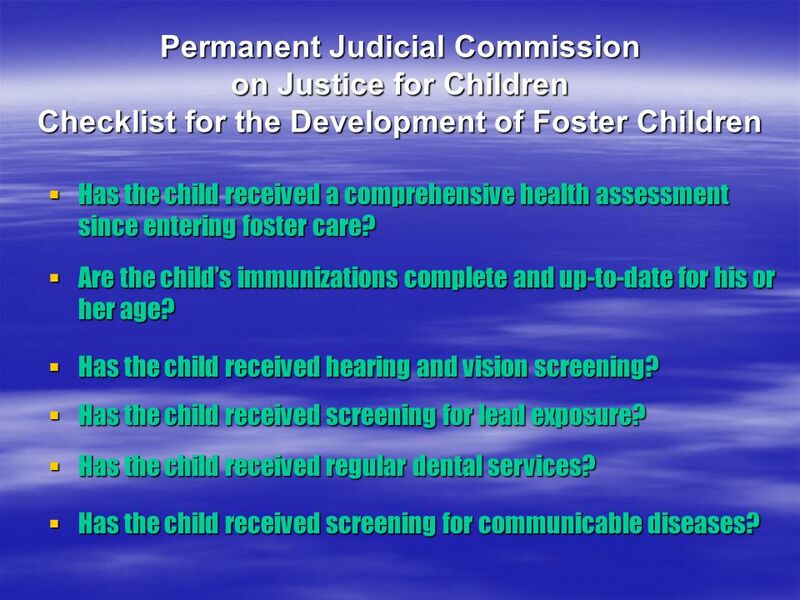 27 Permanent Judicial Commission on Justice for Children Checklist for the Development of Foster Children  Has the child received a comprehensive health assessment since entering foster care? 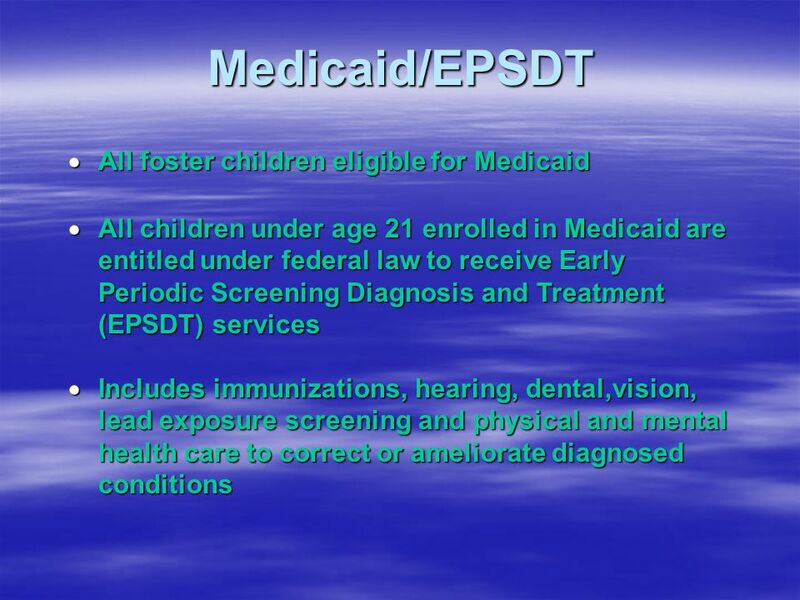  Are the child’s immunizations complete and up-to-date for his or her age? 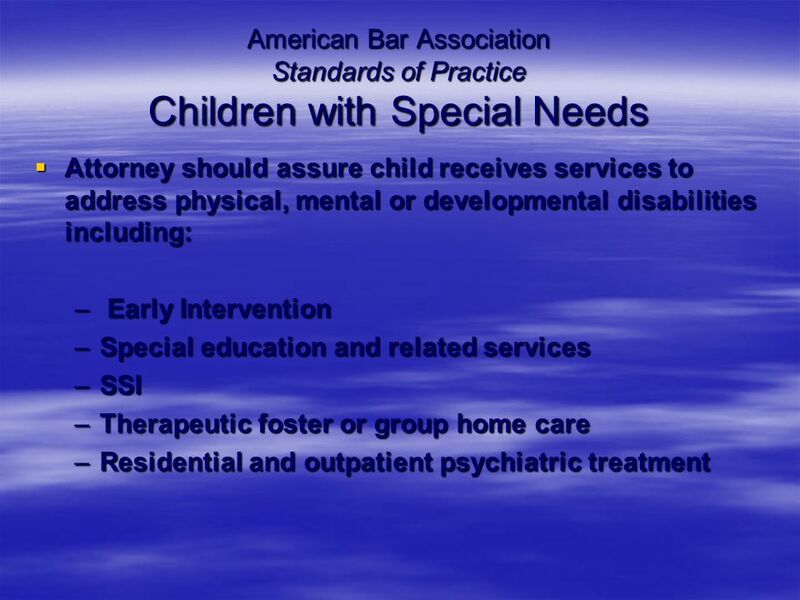  Has the child received hearing and vision screening? 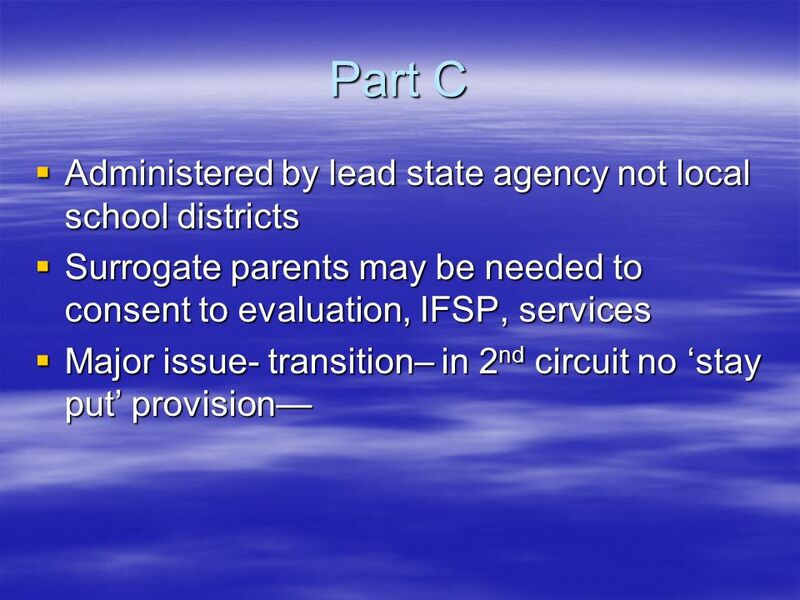  Has the child received screening for lead exposure? 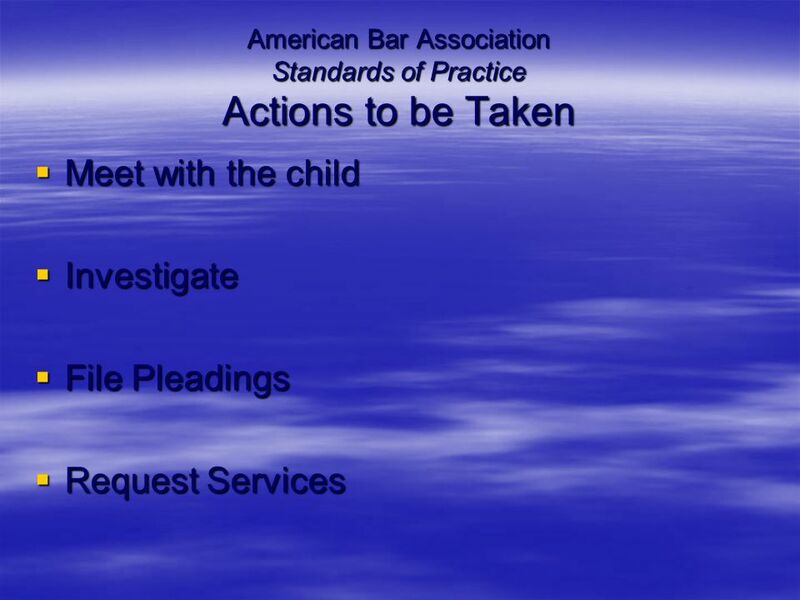  Has the child received regular dental services? 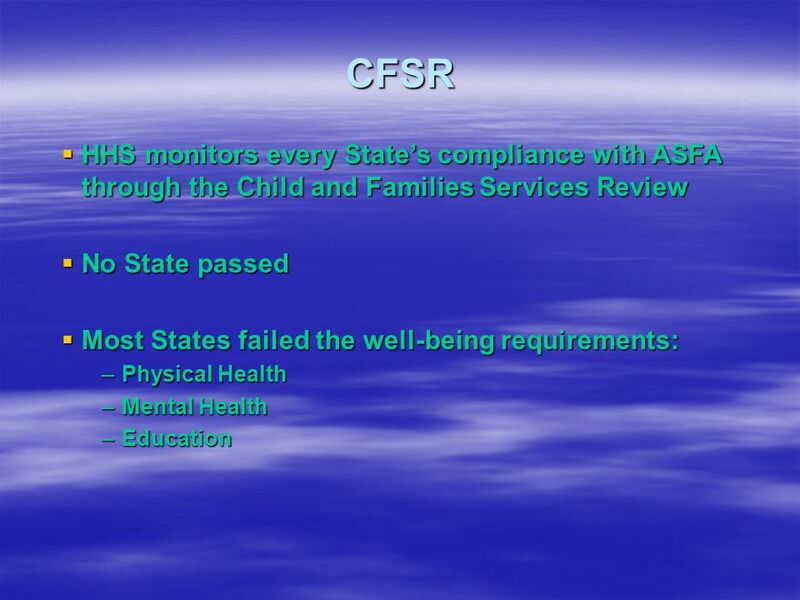  Has the child received screening for communicable diseases? 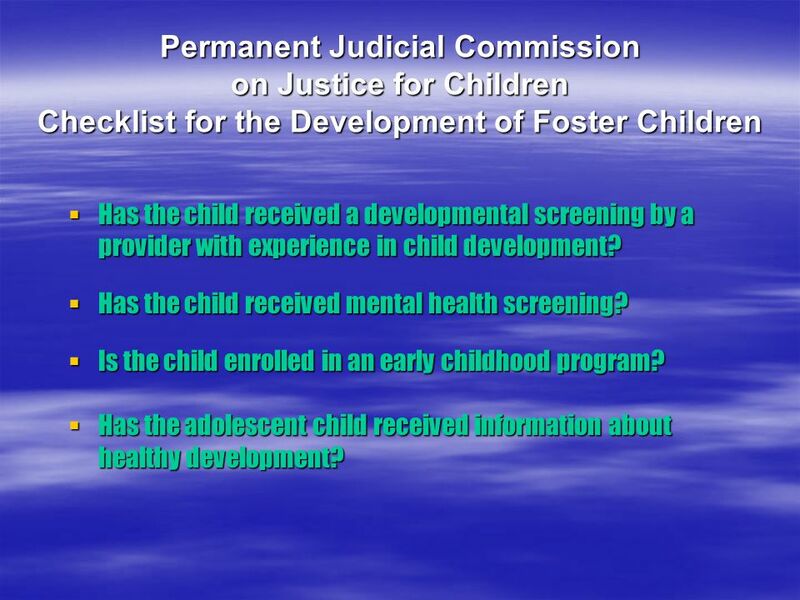 28 Permanent Judicial Commission on Justice for Children Checklist for the Development of Foster Children  Has the child received a developmental screening by a provider with experience in child development? 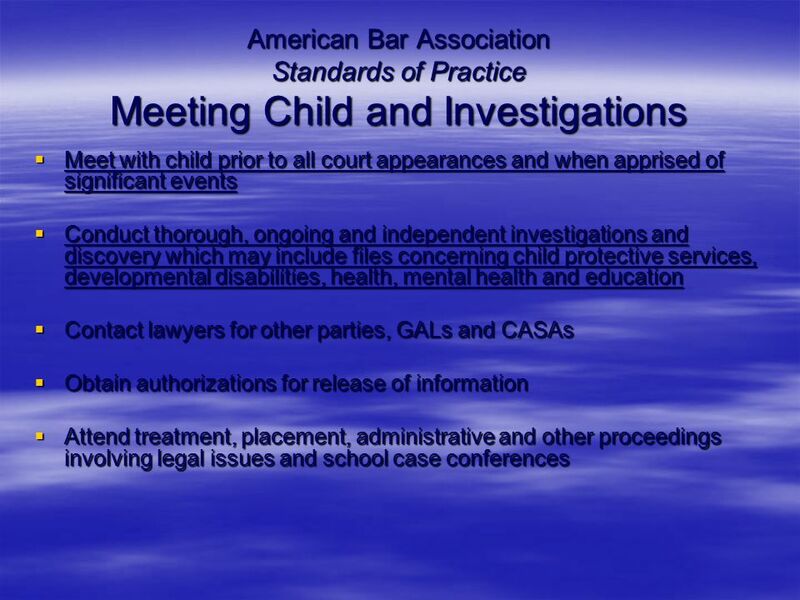  Has the child received mental health screening? 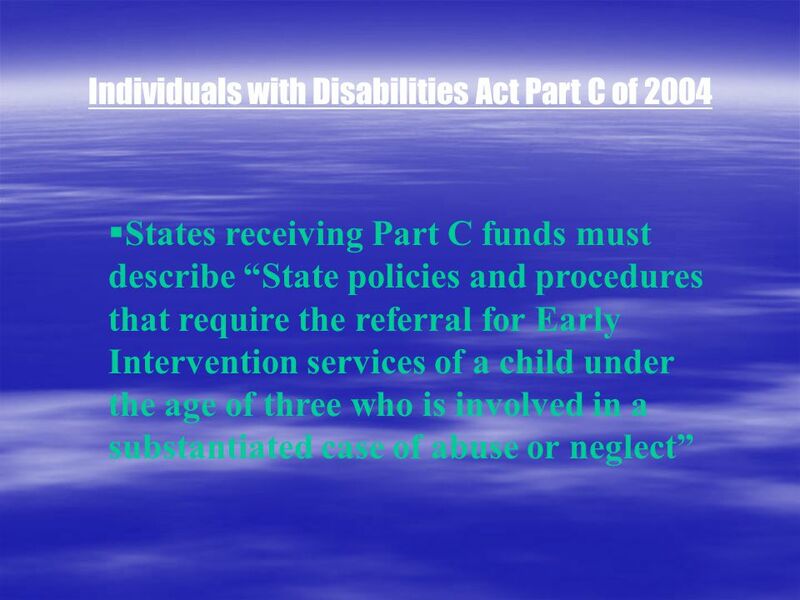  Is the child enrolled in an early childhood program? 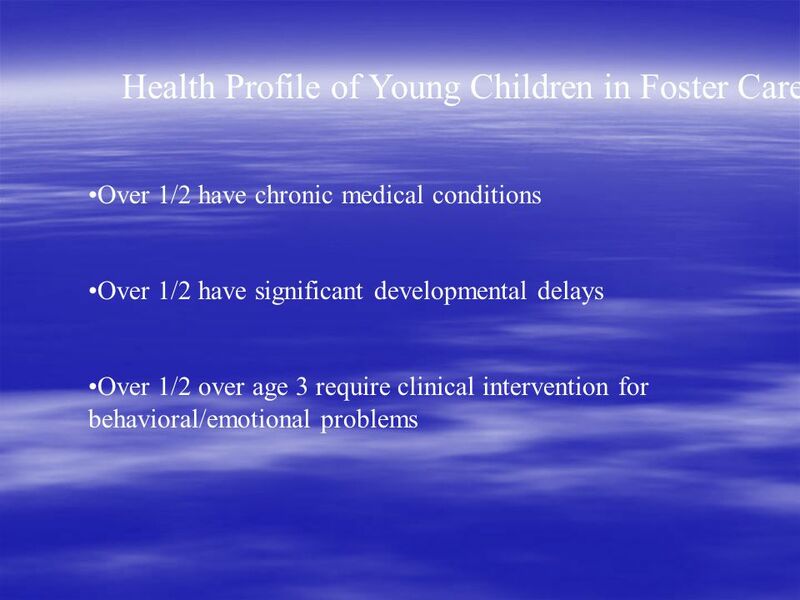  Has the adolescent child received information about healthy development? 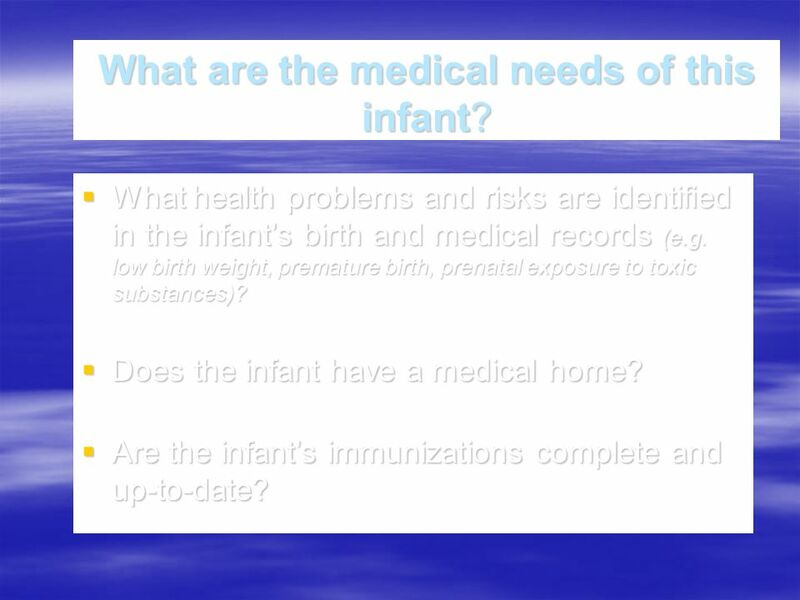 30 What are the medical needs of this infant? 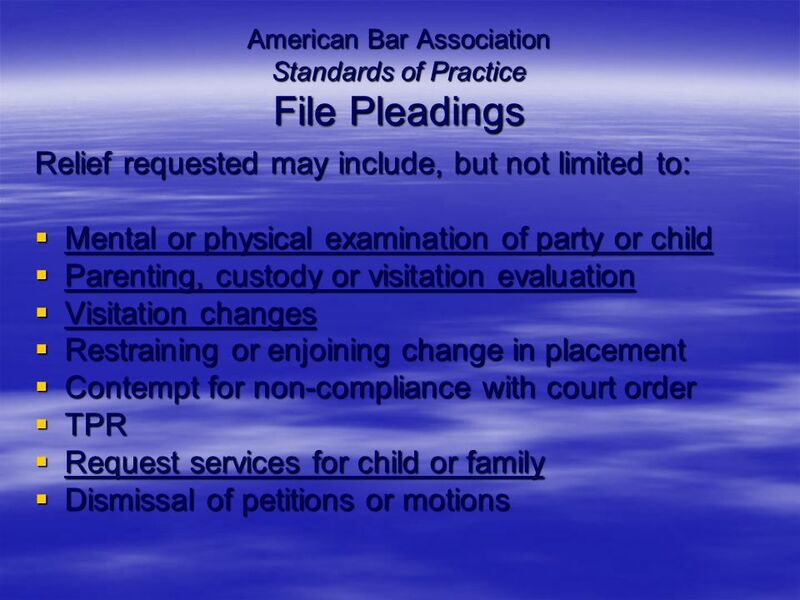  What health problems and risks are identified in the infant’s birth and medical records (e.g. 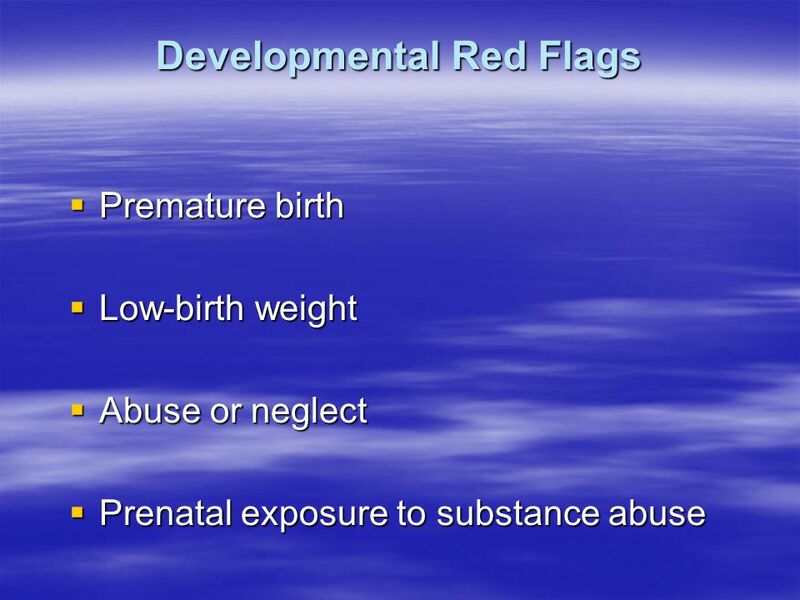 low birth weight, premature birth, prenatal exposure to toxic substances)? 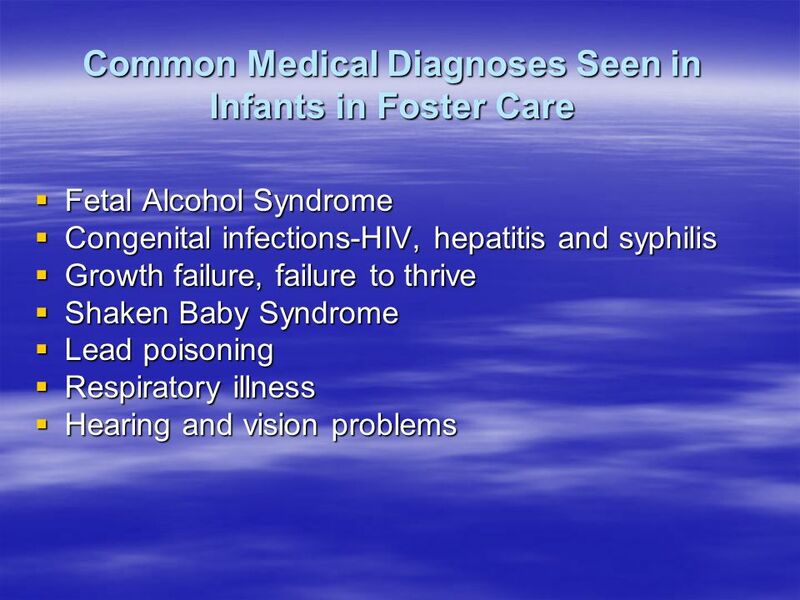  Does the infant have a medical home? 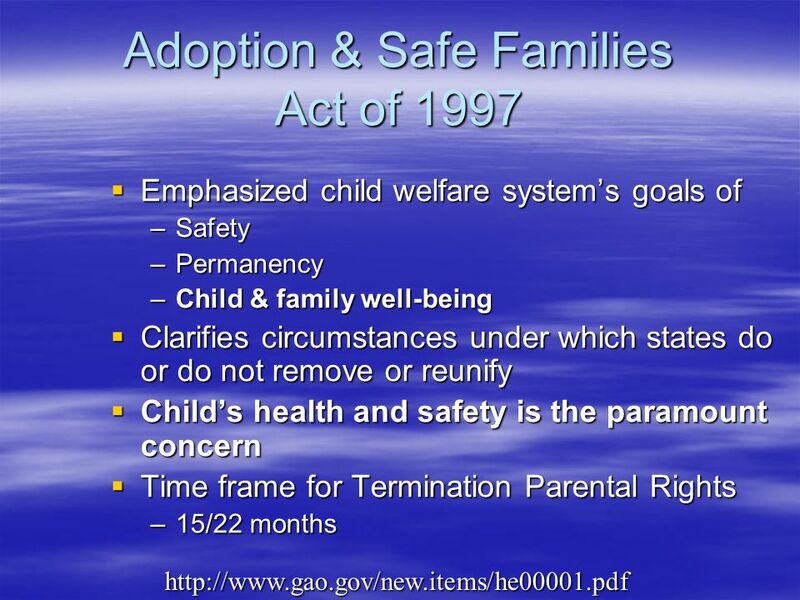  Are the infant’s immunizations complete and up-to-date? 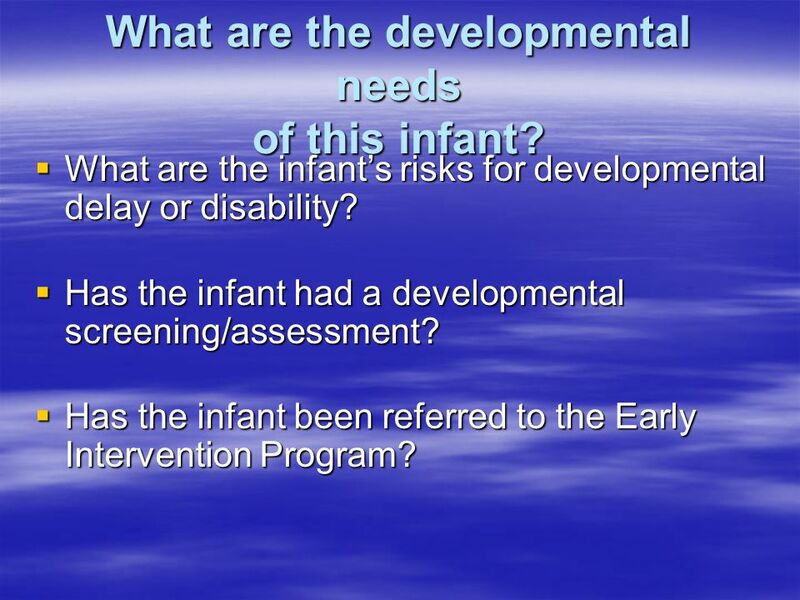 32 What are the developmental needs of this infant? 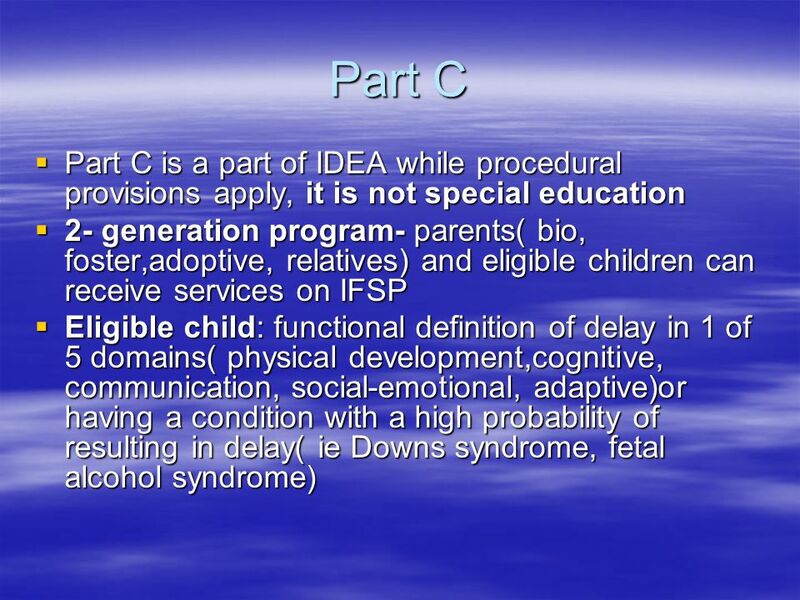  What are the infant’s risks for developmental delay or disability? 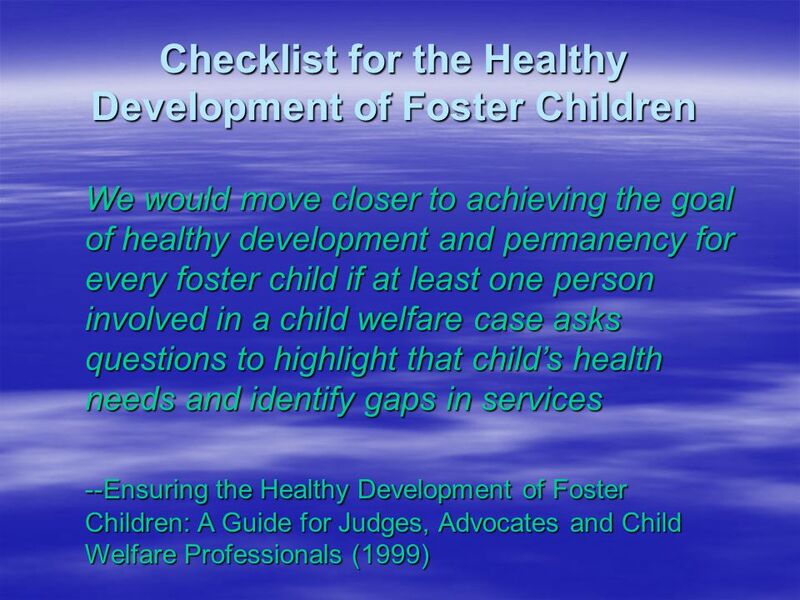  Has the infant had a developmental screening/assessment? 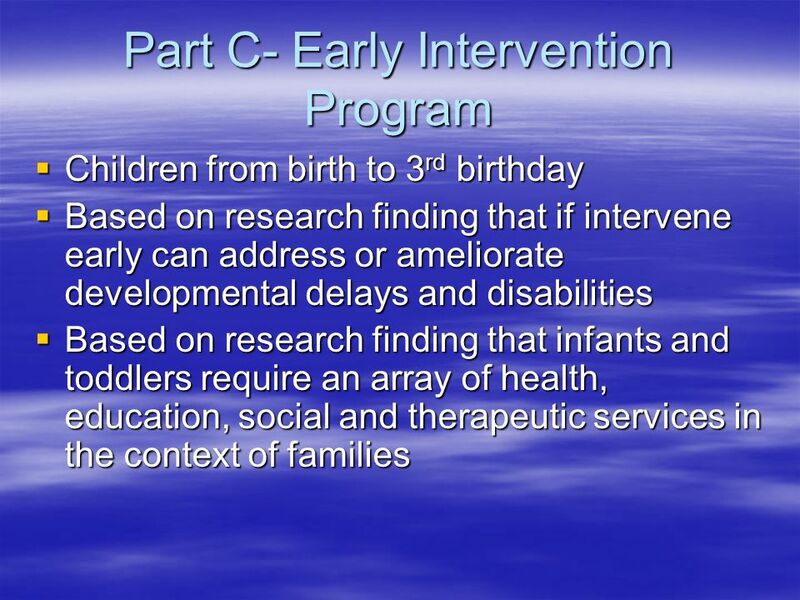  Has the infant been referred to the Early Intervention Program? 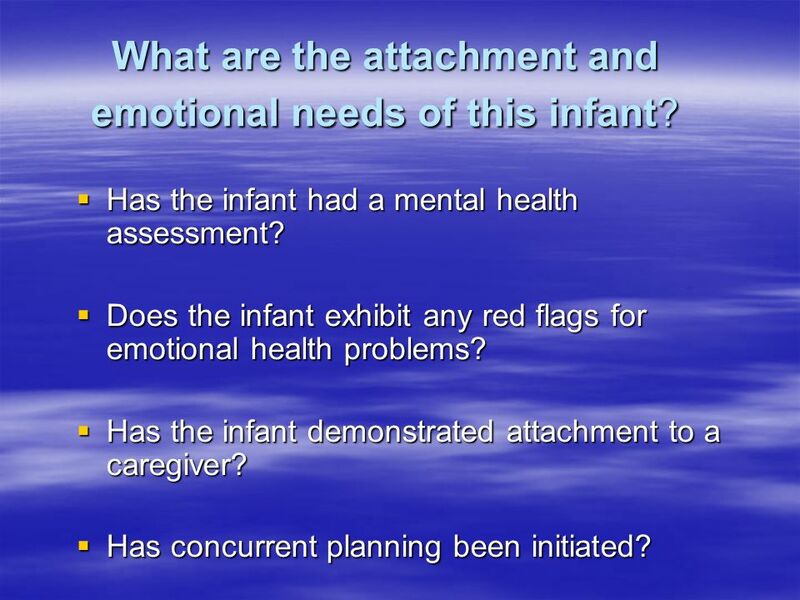 34 What are the attachment and emotional needs of this infant? 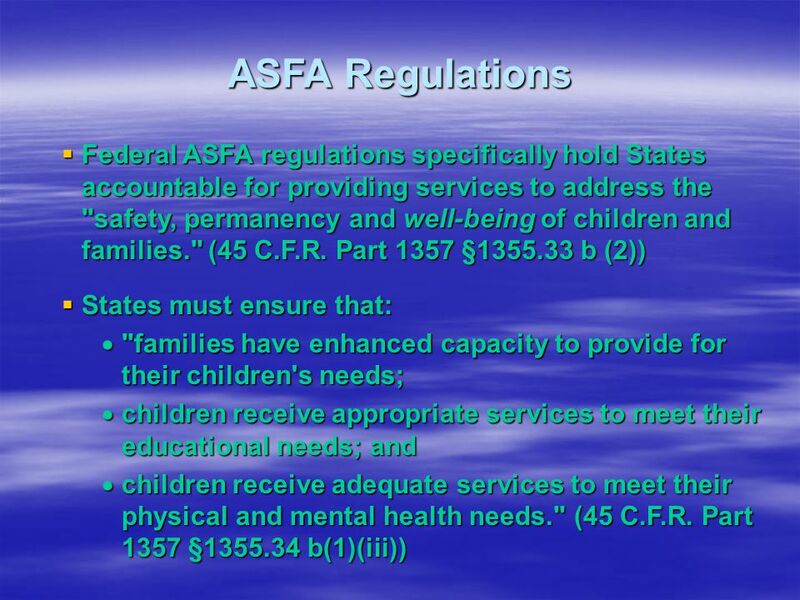  Has the infant had a mental health assessment? 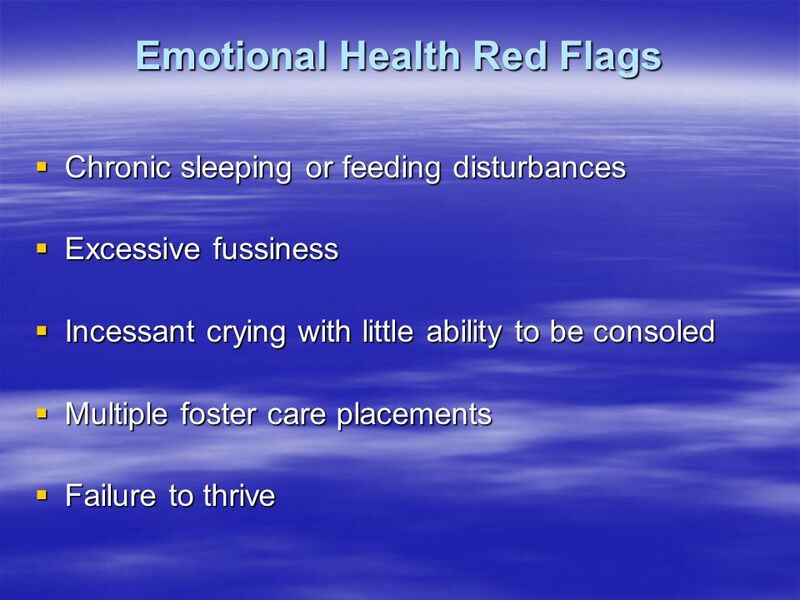  Does the infant exhibit any red flags for emotional health problems? 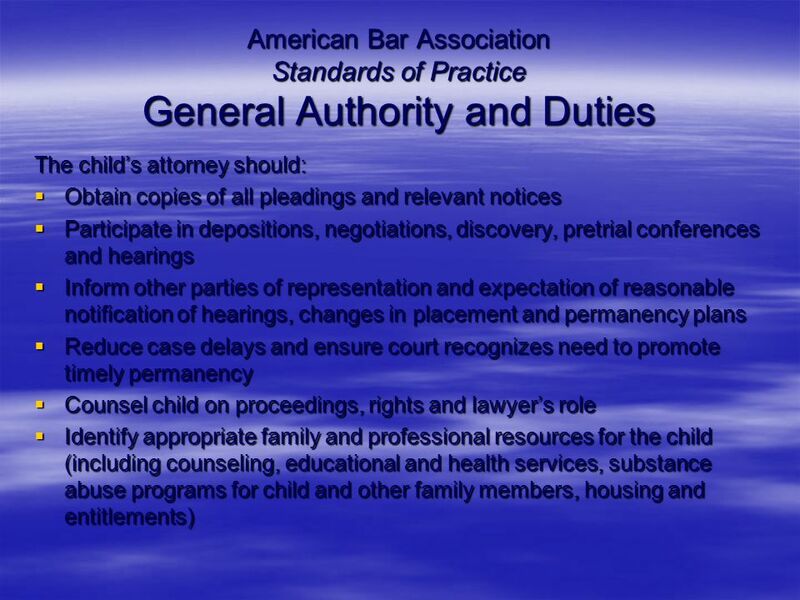  Has the infant demonstrated attachment to a caregiver?  Has concurrent planning been initiated? 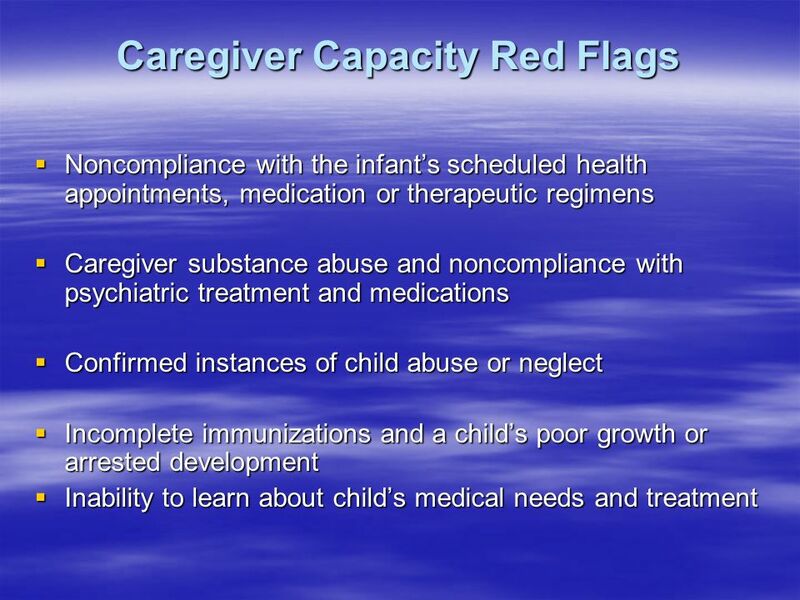 36 What challenges does this caregiver face that impact his or her capacity to parent this infant? 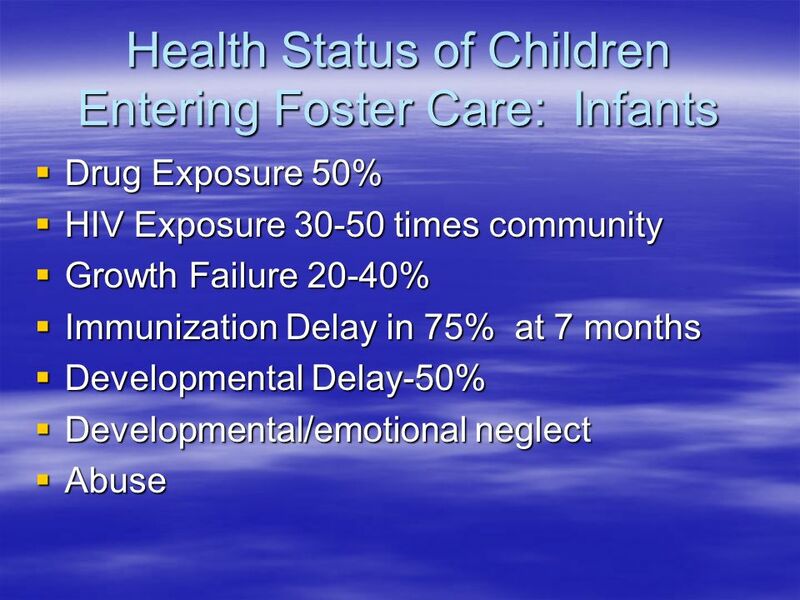  What are the specific challenges faced by the caregiver in caring for this infant (e.g. 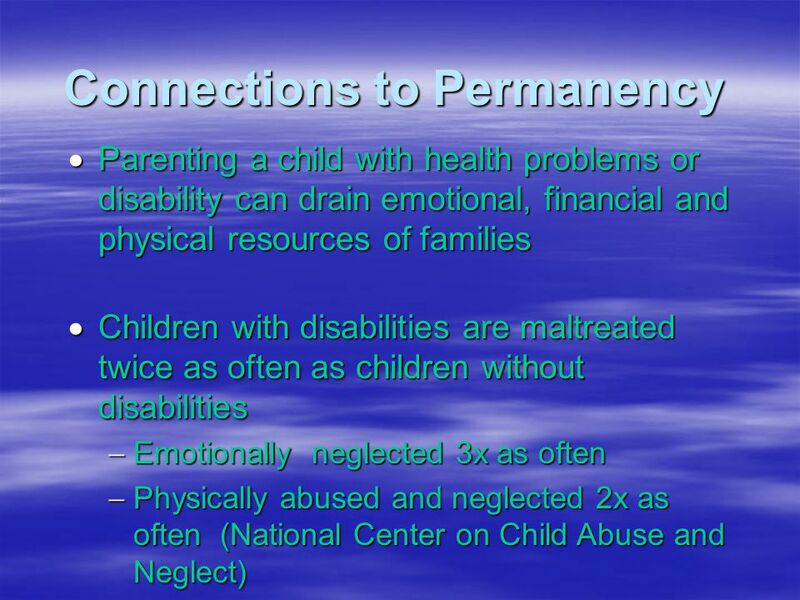 addiction to drugs and/or alcohol, mental illness, cognitive limitations)? 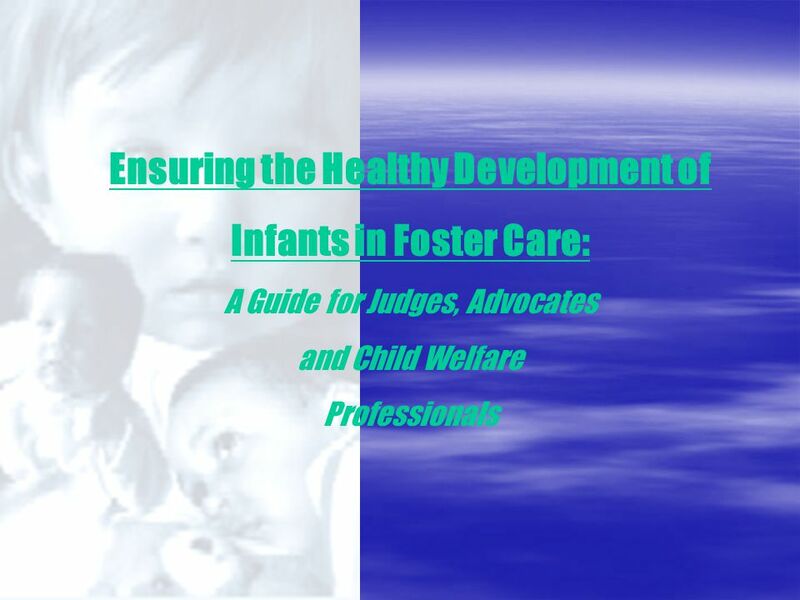  What are the learning requirements for caregivers to meet the infant’s needs? 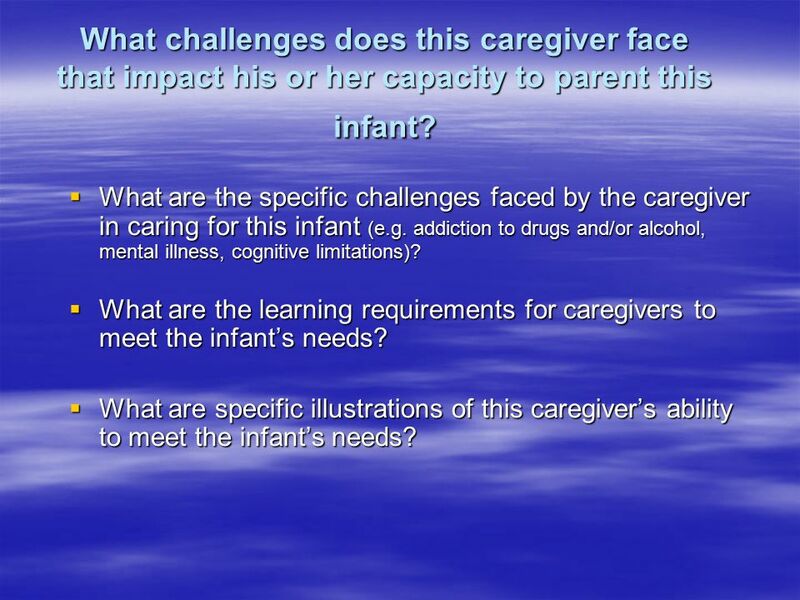  What are specific illustrations of this caregiver’s ability to meet the infant’s needs? 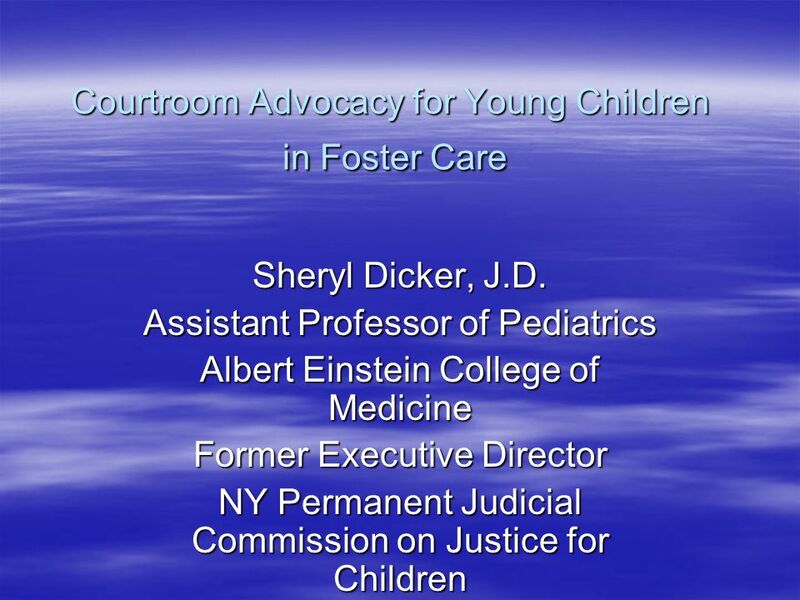 Download ppt "Courtroom Advocacy for Young Children in Foster Care Sheryl Dicker, J.D. 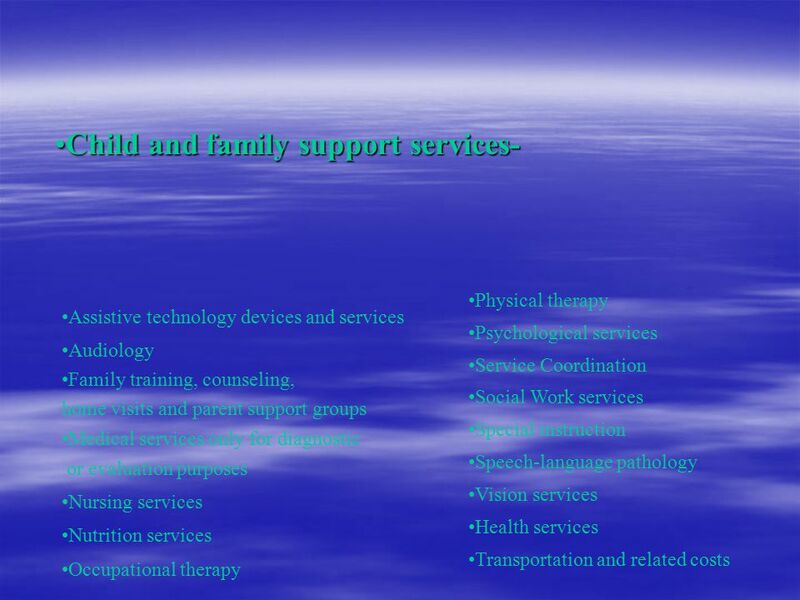 Assistant Professor of Pediatrics Albert Einstein College of Medicine Former Executive." 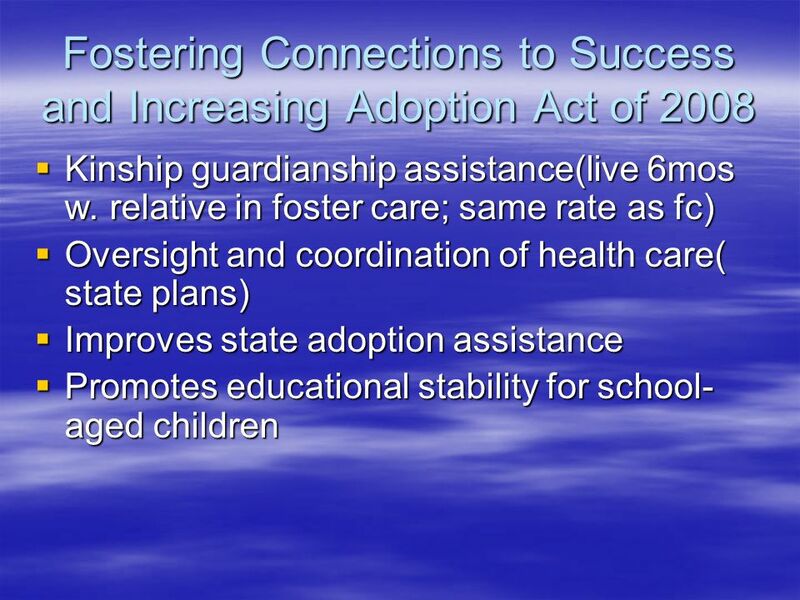 1 st National Conference on Substance Abuse, Child Welfare and the Dependency Court Developing and Implementing Services for Children within the Substance. 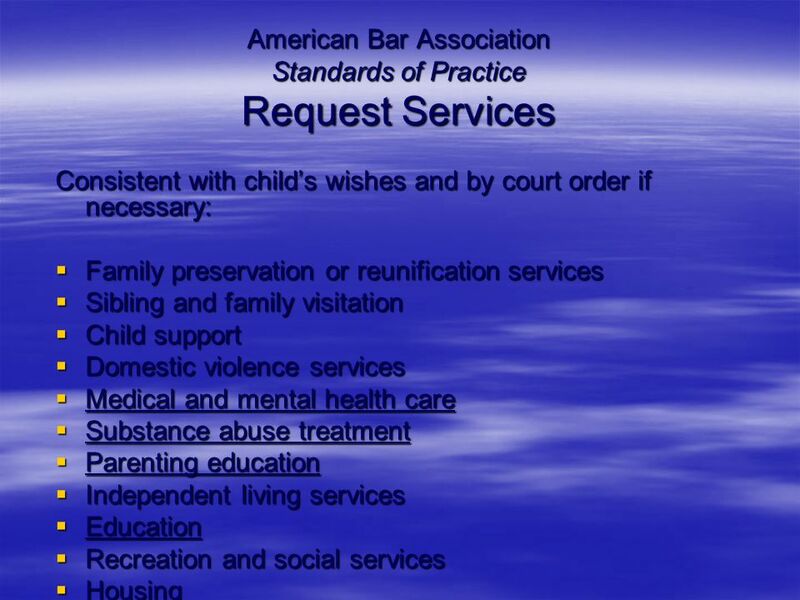 1 Definitions and Examples of Practices vs. Services in Child Welfare The Service Array Process The National Child Welfare Resource Center for Organizational. 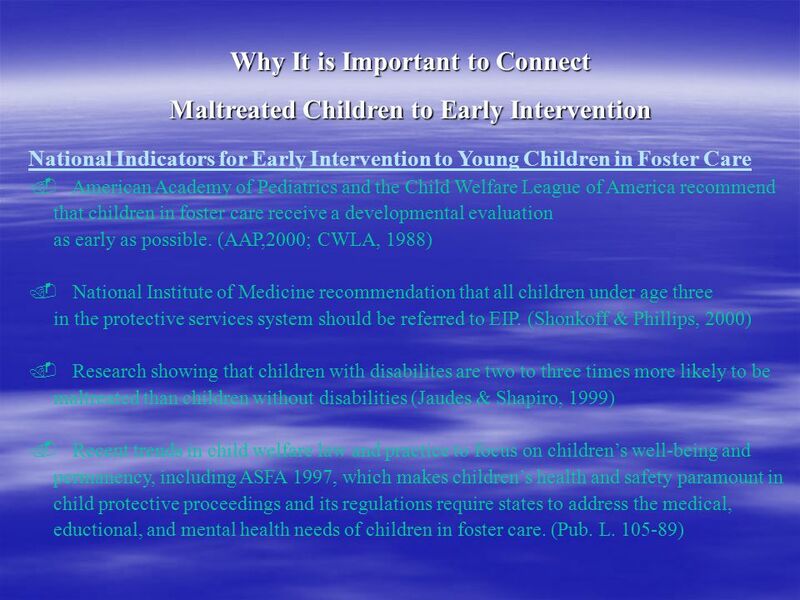 Judith Silver, Ph.D. Judith Silver, Ph.D. Director, Child Welfare Early Childhood Initiative & The Starting Young Program The Children’s Hospital of Philadelphia. 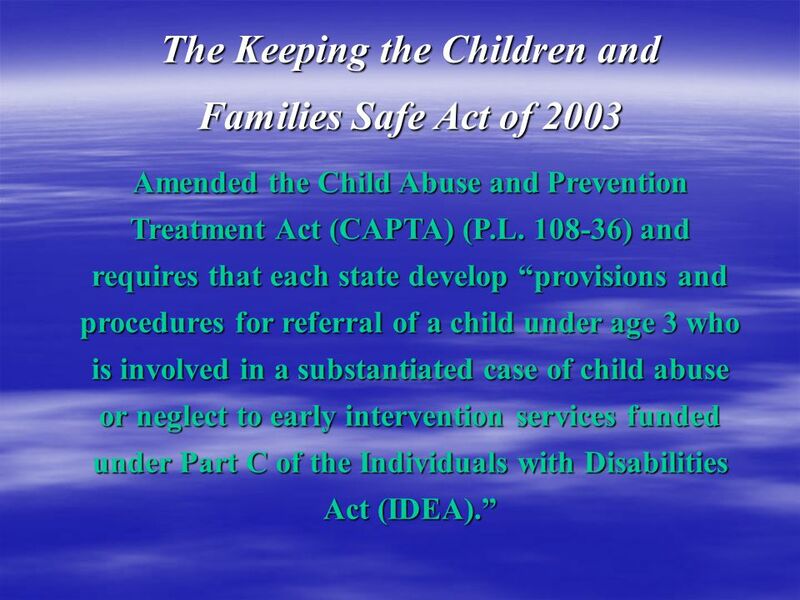 © 2004-2005 CDHS College Relations Group Buffalo State College/SUNY at Buffalo Research Foundation Guiding Framework for Interventions Recommendation 1.